David Burney Fox, 72, of Summerville, SC, husband of Regina “Jeane” Fox, passed away Friday, February 8, 2019. Memorial Services will be Monday afternoon, February 18, 2019 at 1 o’clock at Oakbrook Community Church, 705 Old Trolley Road, Unit H, Second Floor, Summerville, SC. David was born July 28, 1946 in Dayton, OH, the son of Lester Hand Fox and Helen Mary Jane Deloach Fox. 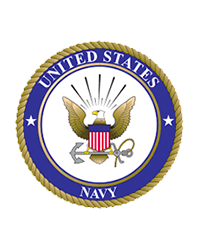 He was an Accountant for 27 years at the Coastal Center in Summerville, and Retired from the United States Navy after 28 years, honorably serving as a Chief Petty Officer.